Scribblenauts is an inventive puzzle game where you control Maxwell and his magical notepad. Anything you write out pops into existence and can be used to help Maxwell solve his puzzles. Later this month a DC comics themed version of the game is coming to 3DS, WiiU, and the PC. One of the things they are boasting about is just how many characters are in the game. The numbers thrown around are crazy. There are supposed to be something like 130 Green Lanterns. If they’ve been in DC comics then they are supposed to be in the game. Because I’m such a fan of DC’s C and D listers I’m incredibly excited for this. I already have some credit lined up and will be getting this when it comes out. I know there will be puzzles to solve but at soon as I get the game I’m going to be throwing names at it to see if they are included. Because we’ve been doing Top 10 lists lately I’m going to list the 10 characters I want to see in the game. These get a little long so I’m splitting the list up into two parts, so check back tomorrow for the next 5. There will be a follow up when I get the game including screen shots of the characters that make the cut. I’m starting my list with the characters that I think have the best chances to make it into Scribblenauts. As the list goes on the chances of the character showing up gets slimmer and slimmer. Deep down he is my favorite Flash character. And let’s be honest here, the first hero name I type into the game is going to be the Flash just to see how many versions are available. Walter was an alternate universe version of Wally who was driven mad when his version of Linda was killed. His actual identity was a huge mystery when he first appeared but even without that mystery I really enjoy the character. 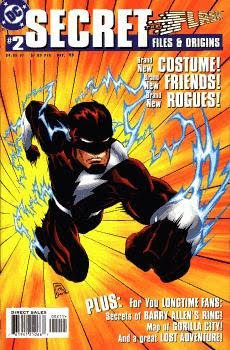 The “Dark Flash” suit is such a great look that I think this character has the best chance of being in the game. It was also used in the game Justice League Heroes, I remember using it over all the other suits because I liked the look of it so much. 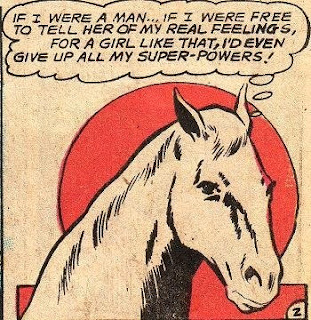 I’ve really been meaning to write about Comet the Super-Horse because his story is so absurd that I’m in love with every second of it. 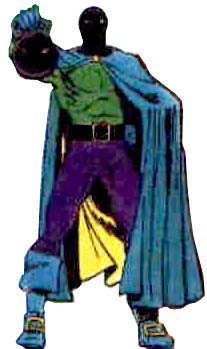 Comet first appeared in a 1962 Superboy story that was published in Adventure Comics. After that he became more of a Supergirl character. Comet was originally a centaur who was turned into a horse by Circe. Circe actually wanted to turn him human so because she messed up she also gave him superpowers. Another spell allowed him to turn human “while a comet passes through the solar system he is in.” During these times he went by the name Bill Starr and dated Supergirl. Despite that crazy story, Comet is attached to the Superman family so I’m guessing his chances of making it into the game are pretty good. There have been three different Jack O’Lanterns and he’s been on the Global Guardians, Primal Force, and the Ultramarine Corps. That’s a lot of changes and affiliations for a character that really doesn’t show up very often. The first two versions of Jack O’Lantern carried a mystic lantern that gave a huge list of different powers from creating fog to shooting fire. The last version of the character was able to internalize his powers. There isn’t much to the Jack costume and he’s been in the background of some pretty big events so he has a pretty good chance of showing up. First appearing in G.I. 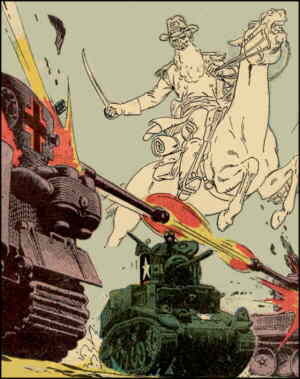 Combat back in 1961 the Haunted Tank is exactly what the name suggests. The ghost of Confederate general J.E.B Stuart watches over Lieutenant Jeb Stuart and his Light Tank M3 Stuart. G.I Combat ran for over 20 years, so the Haunted Tank is pretty well known. I don’t think the game will have any problems creating the tank or the ghost, but we probably won’t see it flying a Confederate flag. Tallulah first appeared in a 2007 issue of Jonah Hex. 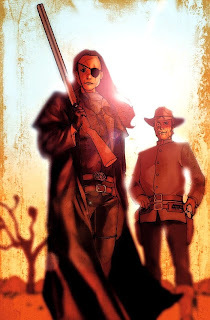 A female bounty hunter with a tragic past Tallulah ran across Jonah Hex a few times and eventually the two became lovers. I have no idea if Scribblenauts will be including DC’s western characters, they may just be sticking to the spandex bunch. Tallulah’s chances may or may not have been helped by being included in the Jonah Hex movie. That’s our first five! Come back tomorrow and see our list get even weirder than a girl dating her horse!